EC: "hopefully some sense of the desperate atmospherics of this place"
TSR: "I'd challenge either candidate who comes here to sit down and give me 20 minutes." Wolf talks to Michael about the McCain/Obama rumble... and offers a challenge of his own. Personally, I think having the candidates sit down with Michael for a little reality check ought to be a REQUIREMENT! NR: "Four words: dog and pony show." 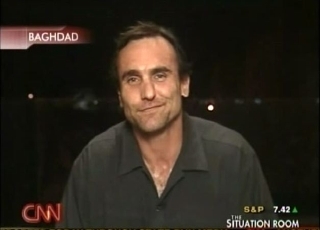 TJ Holmes asks Michael (in Baghdad) and Kyra Phillips (in NY) to weigh in on whether visiting politicians get a true picture of the conditions on the ground in Iraq when they fly in for the escorted and highly controlled tours. 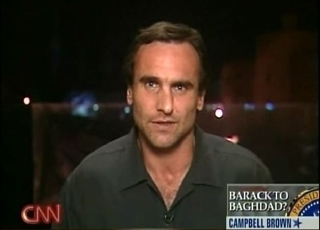 AC: "There's a great need for education about the situation here in Iraq"
Anderson asks Michael for the latest reality check from Baghdad; Fran Townsend still thinks al Qaeda is a playa there... which kind of undermines her credibility. 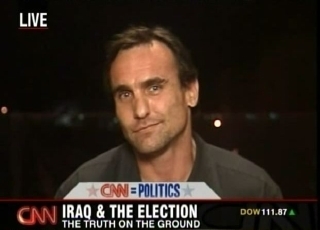 EC: "It's hard to discern between campaign stunts and genuine inquiry"
Michael reacts to John McCain's latest attempt to convince people to stroll the streets of Baghdad. TSR: "This is an enormous affront to all Muslims." 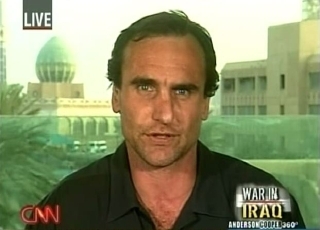 Michael recaps and expands upon the desecration incident that happened last week. A recap of the desecration story for International. 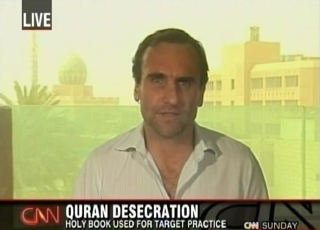 SAM: "To desecrate a Holy Quran...really had the potential to just destroy this fragile alliance"
Michael appeared on Sunday Morning to discuss the Quran desecration story. In our Behind the Scenes series, CNN correspondents share their experiences in covering news and analyze the stories behind the events. 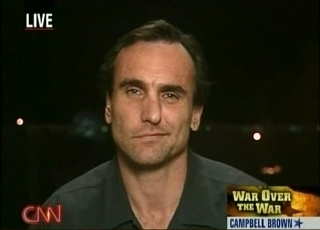 CNN's Michael Ware covers the Iraq war. 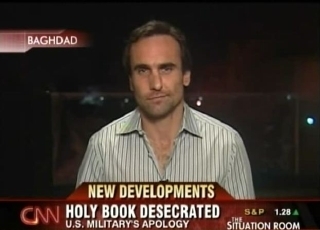 He was present when a U.S. general apologized for a soldier using the Quran as a target. NR: "...with this rare access, we could gauge the conflict for ourselves." 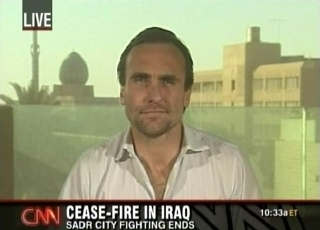 This past Friday, Michael was able to enter Sadr City and see the results of some of the fighting there. 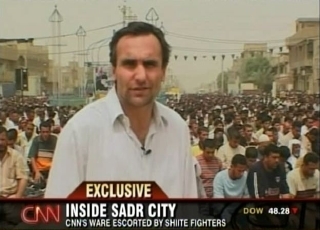 He was escorted by members of the Mehdi Army, and even allowed to film during outdoor prayer services. It is an astonishing glimpse of life inside the siege. NR: "...something of a victory for Muqtada." 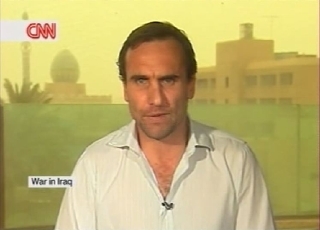 Michael is back in Baghdad, and reports this morning on the latest ceasefire declaration from Muqtada al-Sadr. Although it was touted as a win for Prime Minister Maliki, the real winner is Muqtada -- who has not been forced to disband his militia (thereby keeping his power base) and is positioned to make serious political inroads for the October elections -- and, of course, Iran.